Our world class faculty is passionate, dedicated, and supportive. Not only will dancers receive high quality instruction, they will also learn life lessons in discipline, hard work, and perseverance that will last them a lifetime. Alex Acosta is the Director of the award winning MNR Dance Team. Alex has danced at MNR DF since age 8 and has been teaching at MNR since age 15. Alex is an accomplished dancer and choreographer, winning various dance and choreography awards over the past 20 years. Alex graduated from UCLA. Alex teaches Jazz, Lyrical/Contemporary and Ballet. Annie Guest started dancing at age 3, joined the MNR DF family at age 8, and competed nationally and internationally. She’s taught dance since she was 16, holds a degree in Dance, and won awards for her choreography work. Annie is Co-Director of the award-winning MNR DF dance team, teaches a wide array of styles, and also works with dancers with ASD and other motor/developmental disorders. Ariella Maman grew up taking classes at MNR and was a member of the MNR DF Team. She enjoys teaching various styles of dance from Hip Hop to Contemporary, and manages the MNR Summer Dance Program each year. Amanda Adams is a graduate of UCLA and holds two Bachelor’s degrees: Dance and Psychology. She is actively pursuing a career in performance and choreography, and debuted her work in Karencitta’s music video “No Apology.” Amanda received her early training from the Orange County School of the Arts (OCSA) as a Commercial Dance major. She is trained in styles ranging from hip-hop to tap and has trained under Kyle Abraham, Mia Michaels, and Liz Imperio. Additionally, she’s been accepted to intensives with with Bandaloop, Diavolo Architecture in Motion, and Joffrey Ballet. She has performing her choreography at the Sydney Opera house alongside the Orpheus Guitar Ensemble, and was the artistic director of Samahang Modern, a competitive urban Dance team. Amanda is currently training in aerial arts, rock climbing, and other contemporary circus trainings such as tumbling, tricking, slacklining, Acro, and Cyr. Andrew Brader’s training began in his hometown at The New Orleans Center for the Creative Arts, then made way to Florida on full-scholarship at The Harid Conservatory. Moving on as an apprentice through an invitation to join ABT, he danced with the company at The Metropolitan Opera House at Lincoln Center before joining the Houston Ballet. After four seasons in principal roles with the Los Angeles Ballet, and winning choreography awards, Andrew spent two seasons as a Soloist with the Stadt Theater Chemnitz in Germany. Since joining Complexions Contemporary Ballet in 2014, he’s instructed their intensives as well as Joffrey Ballet School’s summer intensives. A performer, instructor, and model, Andrew traveled across the globe on the most recognized stages, festivals, competitions, runways, and music videos. Gina has trained in and has grown to love many genres of dance since the age of three. Beyond ballet, tap, and jazz, she studied pointe, Horton technique, contemporary, classic jazz, jazz funk, hip-hop, West African, and aerial silks. She has been a principal dancer on her university’s dance company. Gina choreographed for Disney’s Magic Music Days. Gina attended Studio School LA, and graduated in May of 2018 with a BFA in Commercial Dance. Gina has performed at Choreographer’s Carnival and has been featured in concept videos with Ambrose Respicio and many other notable choreographers. She continues to accept great opportunities that contribute to a flourishing career and is grateful for the tools she’s been given to be a versatile and multifaceted artist. Paige has danced for over 24 years, competed, and won several national competitions. She’s danced professionally with Liza Minelli and Joel Grey and is the star and head choreographer for the upcoming feature film, Dance In Flight. Paige is also head coach/choreographer for Pepperdine University’s Pom Squad. Alisa Fedele is an independent Australian singer/song writer, composer and performer. She is currently the lead singer/synth player for indie rock band Heaps n Heaps. 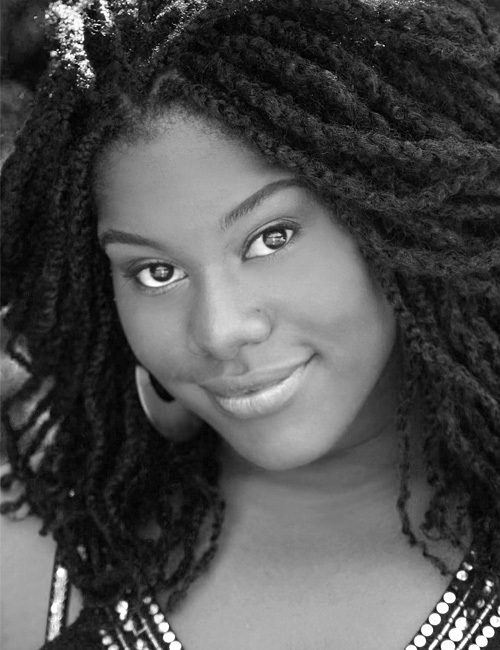 Tia Janeine, also known as "HipHop T" and “Tia J.” is a Quadruple threat - dancer, singer, actor, and choreographer. She’s trained in all genres of dance and has been teaching dance since the age of 15. Christina Lauria is a dancer and choreographer who grew up training and competing in numerous styles. She’s trained in ballet, tap, jazz, ballroom, contemporary, and hip hop. Lital Mizrahi began dancing at the age of two, started dancing at MNR Dance Factory at the age of four, and has been there ever since. Lital grew up as a competition dancer and trained in all styles of dance, including: Ballet, Ballroom, Tap, Hip-hop, African, Jazz, Lyrical, and much more. In addition to dance, she loves to paint, act, and sing. Lital was chosen to become a member of the Beverly HIlls High School Dance company, and during her four years as a member, choreographed a number of different dances. Lital was the recipient of a scholarship to the American Musical and Dramatic summer program in 2018. Growing up as a dancer at MNR inspired Lital to start assisting at a young age, which then gave her the desire to become a dance teacher. 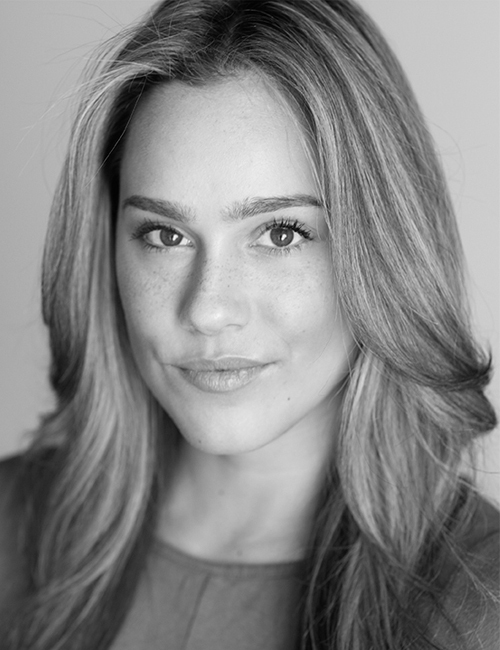 Lital recently mentored a professional dance company lead by Janet Roston and might join the company in the future. Lital will attend film school after she graduates high school to fulfill her dream of becoming a film director. Ramon has an extensive background in coaching, teaching, and performing. He was the first American to compete and medal in the 1st International Men’s Rhythmic Gymnastics Championships and returned two years later winning gold with a team he trained. He’s worked with several high-profile clients including Debbie Allen and Cirque Du Soleil. Spencer is known for his fun and energetic style of hip hop. He’s a choreographer and has taught conventions and masterclasses nationally and internationally. While training in New York at an early age, Kirsten Stone performed with the Rochester City Ballet. She earned her B.F.A. in Dance at the University of Arizona, where she choreographed various works. She attended several prestigious summer programs before dancing and assisting on the renowned Steps on Broadway. Kirsten has choreographed award winning dances for studios in New York State. She currently resides in Los Angeles. Ethan & Nikki Trerise White danced for professional ballet companies such as: Smuin Ballet, Oakland Ballet, Sacramento Ballet, Diablo Ballet, and Aspen/Santa Fe Ballet for 10+ years before embarking on their own choreographic and performance careers. They were one of the top three finalists on CBS show ‘Live to Dance’ and one of eight couples in the world to recently be invited to compete in the prestigious Blackpool Competition England. In addition to creating the children’s dance brand Prima the Ballerina, they co-founded Urban Art Farm- a multi-disciplinary non-profit arts organization, Black Rock City Ballet- Burning Man’s first and only professional ballet company, and Making Dance Matter- an outreach program educating children about the importance of dance and art. An Arizona native, Jessica started dancing at the age of four, training and competing in various dance styles. At 13, she focused on ballet under the direction of Slawomir and Irena Wozinak at Master Ballet Academy. Throughout her dance career, Jessica has been recognized through several scholarships and awards. In addition to dance, she performs as an aerialist in the apparatuses of trapeze, lyra, and silks. She currently teaches and choreographs ballet, judges national dance competitions, and models in national commercials and ads. We welcome Jessica as a guest instructor this summer. Alina studied ballet in Latvia, which brought her to the U.S. She pursued acting at age 17 and has worked on several notable T.V. shows and theater productions. Sara VonGillern aka "Mis' Von" is a choreographer and performance artist whose expertise includes a variety of dance styles, aerial arts, prop manipulation as well as producing and directing movement for TV/film, commercials and live performance. Ikolo was introduced to ballet in 1983 through San Francisco Ballet School's Dance in Schools Program, and after ten years of training was the first outreach student to join the San Francisco Ballet company. Ikolo won the Princess Grace Award for Dance in 1993, and went on to dance professionally for over 20 years as a Principal Dancer with, Dance Theatre of Harlem in NYC, Joffrey Ballet of Chicago, Smuin Ballet, San Francisco Ballet and The San Francisco Opera . He now brings his passion, classical training and world class experience to students in a fun and energetic way. Abi has an extensive background in all styles of dance. Her team and competitive dance experience led to national commercials, film, and TV work with artists such as Todrick Hall, Shaggy, Nicole Scherzinger, Liz Elias, Montana Tucker, and Marcus Cooper. She was recently on Jennifer Lopez's NBC World of Dance! Jay hails from Phoenix, Arizona and trained in classical ballet since the age of seven. After attending multiple notable ballet schools and academies in the U.S. including the San Francisco Ballet School’s year-round program, he performed in various professional productions and contemporary work. Jay is currently a company member with the Los Angeles Ballet under artistic directors Thordal Christensen and Colleen Neary. Jay also travels across the country as a guest artist and ballet instructor. We welcome Jay as a guest instructor this summer. Brittany was part of the Pacific Northwest Ballet, the Miami City Ballet, and the Semper Oper Ballet in Germany. She’s performed in Swan Lake, Nutcracker, La Bayadere and works by the world renown William Forsyth. Most recently, she’s danced Andre Bocelli’s tour. Nancy has taught dance extensively throughout her career. She taught ballet at the Mark Morris Dance Center in Brooklyn, NY as well as Ballet Academy East in Manhattan. In addition, she served as guest faculty at the Los Angeles Ballet School where she taught ballet, pointe, and variations, and as a guest faculty member at MNR Dance Factory. She continues to give master classes and workshops across the country to children and adults. Kyrra Richards has worked as a professional dancer and is a national award-winning choreographer and judge for dance competitions worldwide. She looks forward to inspiring even more young performers to dance from the heart. Miss Roxanne has been teaching tap, ballet, and hip hop for 12 years. She provides a fun and interactive environment that allows students to express themselves freely, experience the enjoyment of music and movement, while expanding their physical awareness. Emylee Tamura began her dance training at the age of four in Boise, Idaho where she performed in a multitude of showcases. In 2014, she entered the B.F.A. Dance Program at The American Music and Dramatic Academy in LA. In her spare time she also enjoys snowboarding, hiking, and yoga. She now resides in Southern California and is currently signed with Go2 Talent Agency. She hopes to be on Disney Channel, Cruise Lines and be able to travel the world while doing what she loves most. 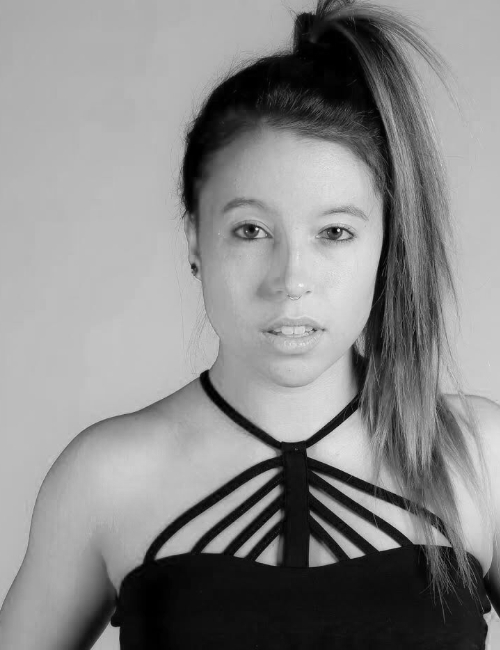 Kiana grew up dancing competitively in Northern Virginia and received her BFA in Dance in Choreography from Virginia Commonwealth University. She started her professional career dancing mainstage for Disney Cruise Lines and made her way to Los Angeles in 2016. Now signed with MSA Talent, Kiana has danced in music videos, awards shows (Billboard Awards and iHeart Radio Awards), live performances and festivals with artists including: Dua Lipa, LL Cool J, Migos, N*E*R*D and more. Kiana specializes in teaching jazz technique and performance quality, bringing out the true performer in everyone. Alyssia is an L.A. native who joined the MNR DF Team at the age of 10 and continues to compete today. In addition to the Blak and Blue Dance Project, she also dances at the Windward School, well-known for its performing arts program. Eva graduated from LACSA. Her first professional gig was a commercial for Samsung. She will be attending college in San Francisco, majoring in dance. Recently, she’s worked as a choreographer.